Draw the attention of food lovers to straight way enter into your canteen with canteen neon signs. Your canteens located in your business premises are sure to allure your customers to hog onto your food varieties with canteen neon light signs. 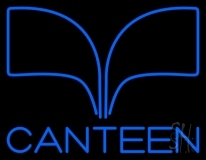 Announce your specialty food items in your canteen with canteen neon signs. Whether your canteen is located inside a business area or somewhere out on the streets, canteen neon lights signs will create an eye-catching effect on the minds of the customers. Visitors passing by their everyday routes will make sure to have a feast at your canteen when they'll notice the radiant glowing canteen neon sign at your establishment. Select a canteen neon light sign from our collection and make your canteen a stand point in the area. We have great range of canteen neon light signs in bright neon signs like blue, white, yellow, red, aqua, etc. Whether you choose a small canteen neon sign or a large one, we have all varied sizes that will be a best fit at your canteen. Still in search of something that is distinct from the collection gives you an add-on option of getting your canteen neon sign customized. Give you business name and logo and get our designers to create an exquisite replica of your custom canteen neon light sign. 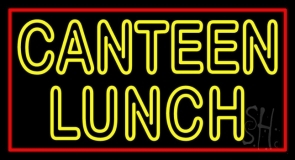 Add increasing number of customers flowing in to your canteen and establishment with hand crafted canteen neon sign. 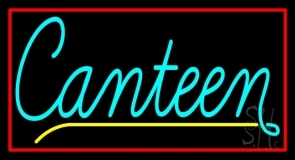 Click here and order your design and custom canteen neon light sign now!